Your prom should be anything but ordinary. It’s one of the most anticipated events of one’s high school career, so why settle for just another dress off the rack? Making your own means it will be exactly what you want, with the added bonus of being one of a kind! 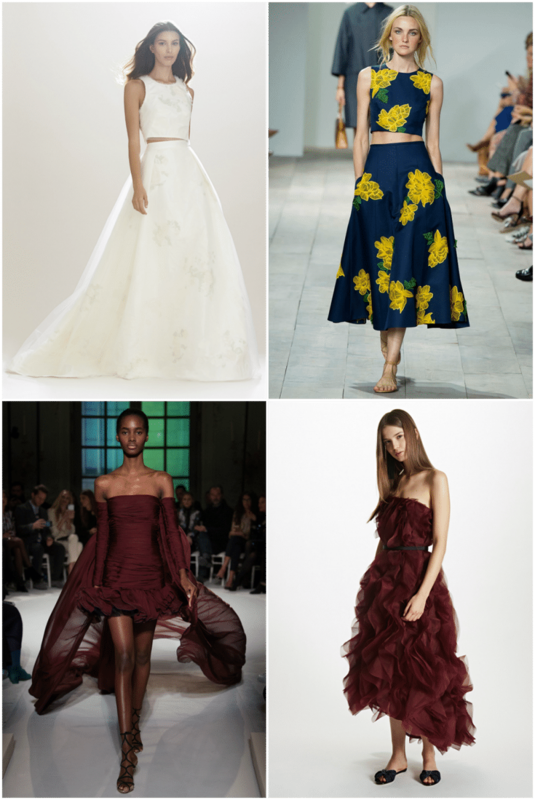 To find some inspiration, I looked at recent bridal and couture lines to see what shapes and colors were trending. Separates kept appearing, and understandably so; the crop top/midi skirt combo looks flattering on many body types and it’s a great way to modernize an otherwise modest silhouette. Another common factor was deep wine tones, and I couldn’t be more in love. Dark reds are my absolute favorite shades and they look good with so many different skin tones, which is an awesome plus. To bring a little dimension into the gown, I opted to use this gorgeous guipure lace. 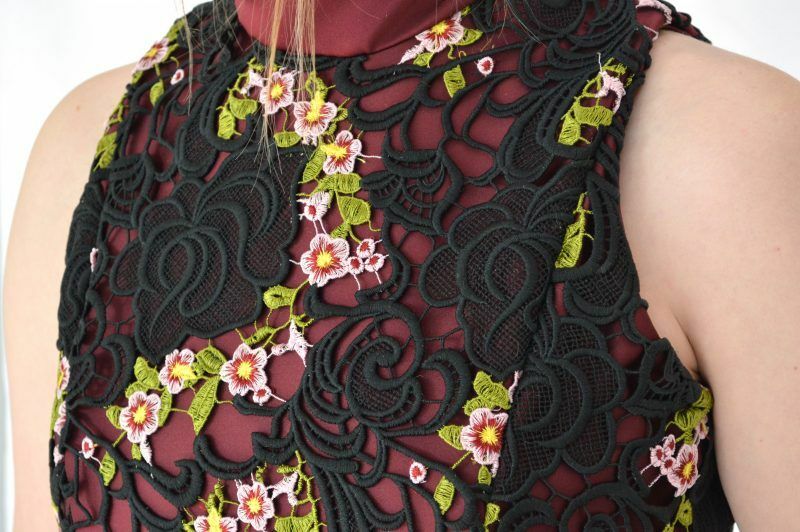 It’s the perfect overlay for skirts and bodices alike, and the floral makes the dress a little more Spring. The skirt was the easiest part of the whole project. 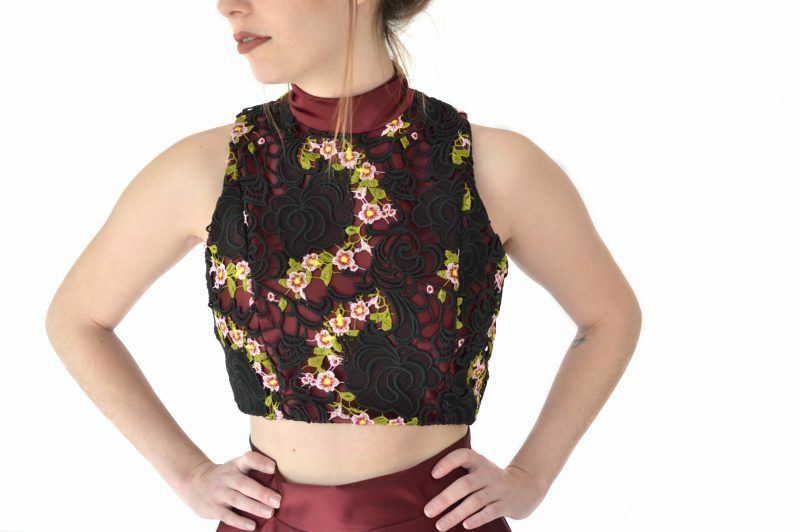 It’s just a basic half circle skirt, so anyone can make it! It’s even hemmed with some Stitch Witchery to avoid ugly hem stitching. 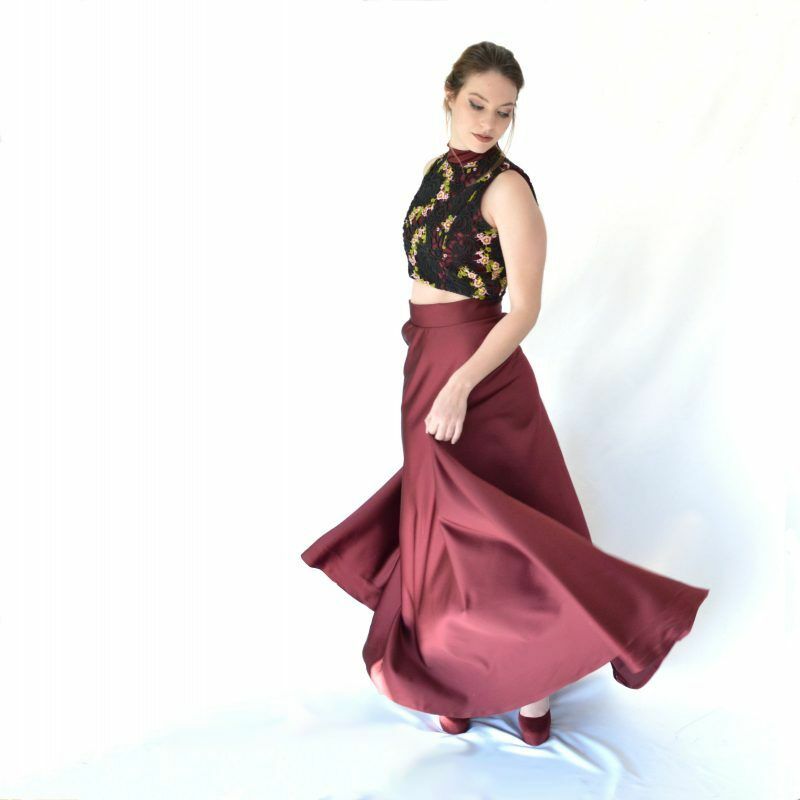 If you’re not familiar with half circle skirts, I can walk you through it quite easily! 1. You’ll need to find your radius length. Measure your waist and divide it by 3.14. 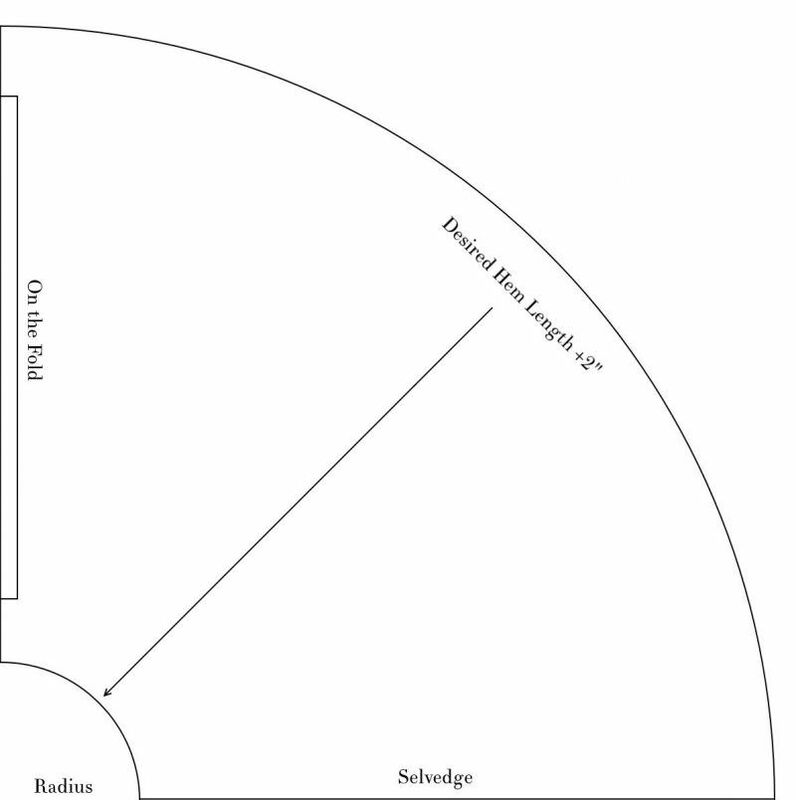 So if you have a 30″ waist, your radius will be 9.5″. 2. 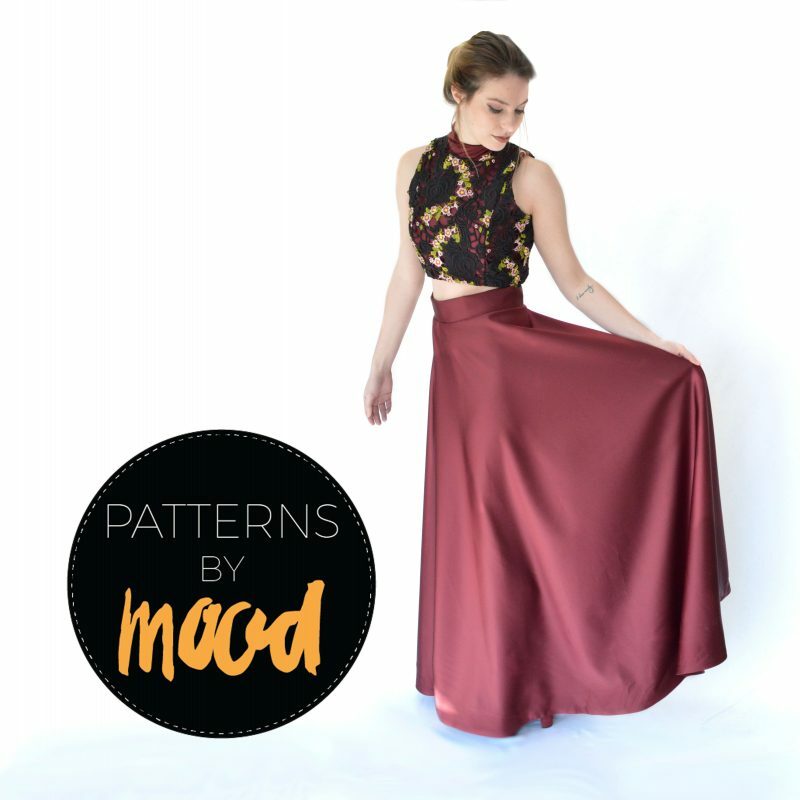 Choose how long you’ll want your skirt and add 2″ for the hem. Keep in mind you’ll probably be wearing heels! I made mine 45″, hem included. 3. Now you can start laying out your fabric. 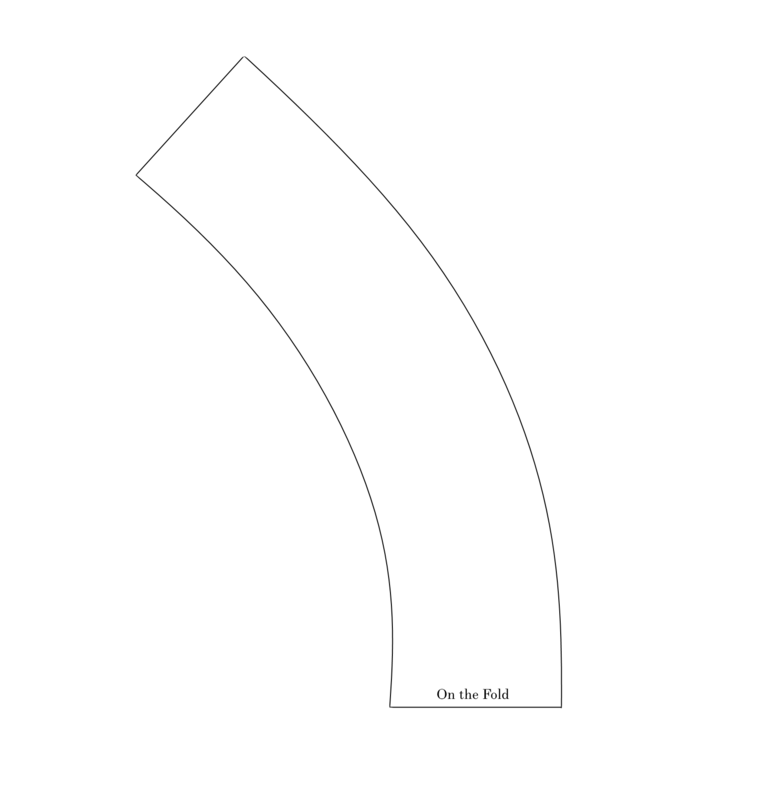 Fold it in half, lengthwise, and mark out your radius from one of the folded corners. 4. From your radius, measure out the length of your skirt along the fold and selvedge, as well as a few points in between so you can connect the dots to form curves. 5. Cut out your fabric, and sew up the selvedge to create the perfect skirt! You can also add a waistband if you so choose, and an invisible zipper. Since I chose to use a poly satin (which looks, feels, and drapes beautifully! 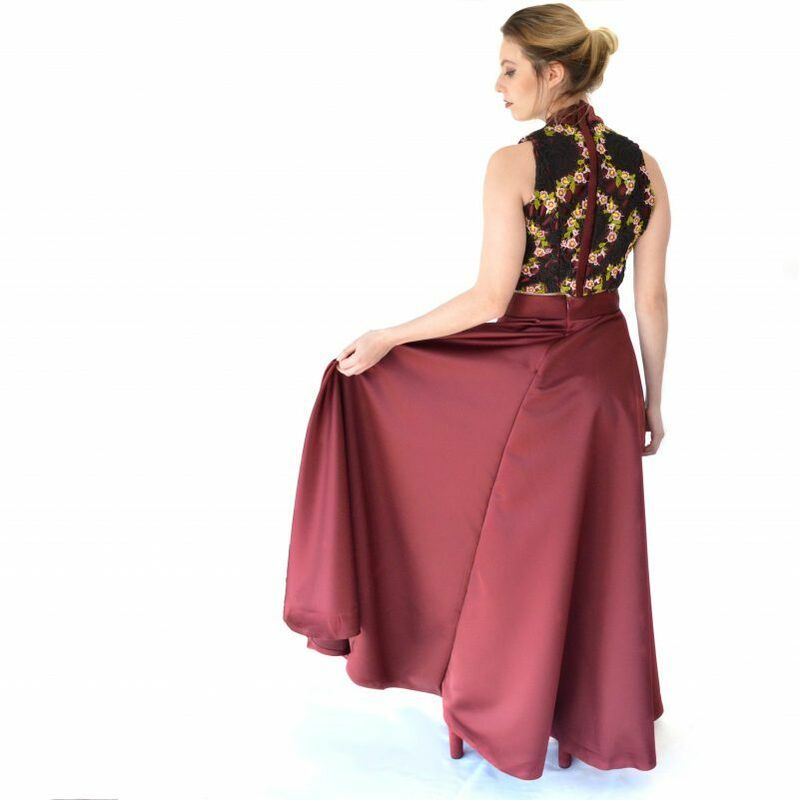 ), it kept the cost down considerably; and for just an afternoon of work, sewing a prom dress is a great alternative to buying one at the store. The possibilities are totally endless though! 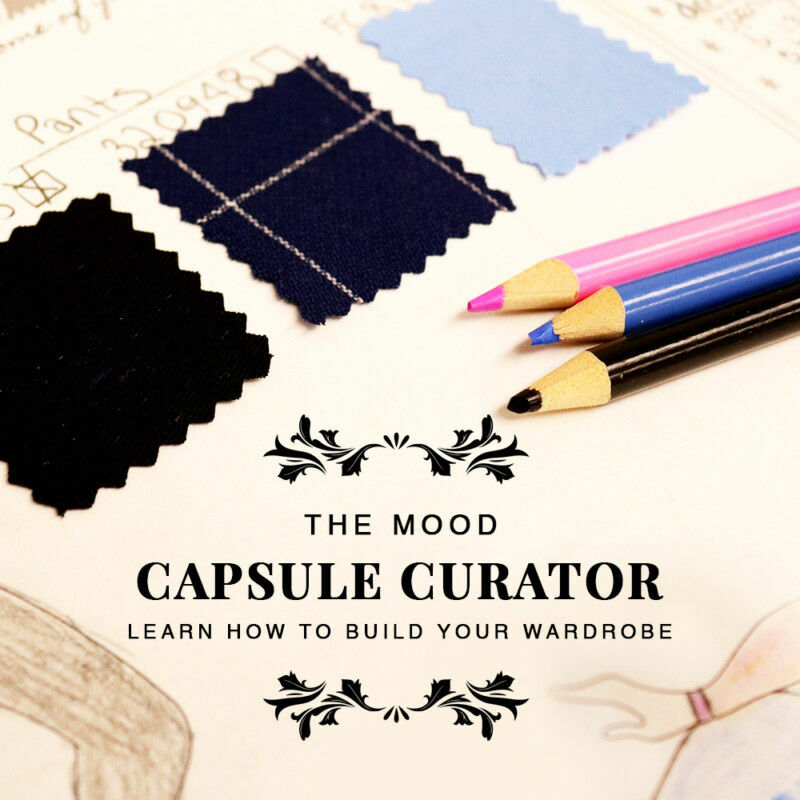 You can choose your own color, overlay, skirt length, and more! You could even go with a silk to make the look even more luxe! Are you going to try your own? Gorgeous results. Thanks for sharing. I really want this pattern but it won’t let me download it! Help! Sorry for the inconvenience! The issue should be fixed now, but please let me know if it still gives you any trouble.